Will a Pro-e user ever expand to 3D Direct CAD, or is he stuck in a parametric mindset? Once the parametric approach is set and fixed in many Pro-E minds, it feels like there is no other way. You might think : fact is, 3D CAD is complex. Only the best engineers will therefore work with Pro-E.
What if I say your job doesn't have to be for PRO's only. It's often just the tool you are using that is making it complex. PTC has announced Project Lightning. Have a look now at what 3D Direct CAD has to offer for all Pro-E users. 3D Direct CAD solution is available to you today. Within PTC it is known as CoCreate Modeling. It is likely that your engineering processes can improve by adding 3D Direct CAD. Can Pro-E users think out of the box? Or are they stuck in the history-tree paradigm? Re: Will a Pro-e user ever expend to 3D Direct CAD, or is he stuck in a parametric mindset? I, for one, would like to think that I could adopt and assimilate direct modeling. There are many times when I wish I could simply abandon the strict structure that I've made for myself for a "quick" change. BUT, I have to say, that when a sweeping change, fully and correctly updates the entire model and the applicable assemblies, it is most gratifying! I hope that there is room for the coexistance of both approaches for I would not want to lose one to gain the other . . .
Echo that!! I saw the PTC demos of CoCreate at the ptcUser convention; very slick for sure! I also feel that I am open-minded enough to look at alternative methodolgy even after 15 years of designing in Pro. HOWEVER, when you know what you are doing with Parent-Child parametric design, you are creating something else in addition to geometry, namely driving logic. . . just waiting for that one little tweak that changes everything. . . just the way you wanted it to. It's more than a little perjorative to dismiss this as "being stuck". It appears that PTC is moving in the direction of marrying the two approaches. If they can do a good job of it, it could be really great stuff! Do not mixup the Direct Edit with Dynamic Modeling concept. You can 'drag' dynamically some geometric features, but that will eventually just update the history-tree parameters. So you will still have a fully constrained model. Dynamic modeling has no* relations, you can edit the geometry as is. *Also CoCreate Modeling has the Advanced Design options to fit in some relations. This could blend in perfectly for those who need more Dynamic, but cannot do without a few relations. Perhaps the 80%-20% rule applies for both solutions today. The first thing your question brings to my mind is to turn it back around and ask you the opposite question. Will the CoCreate users ever expand to Parametric Modeling, or are they stuck in the explicit mindset? I say this for many reasons. Let me try and explain myself while trying not to offend anyone. Here is my background so you can see where I am coming from. I started using CAD Tools in 2001. I have used: Pro/E, Catia, Solidworks, Inventor, Ideas and CoCreate. Obviously I am not that great at some of them. I have the most experience with Pro/E. I am currently the MCAD support person here. We started out many years ago as a Pro/E company. As time went by other companies were purchased that used different CAD packages (one of them being CoCreate). I was hired, 3 years ago, to support all the engineers and help them all move to Pro/E as the main CAD tool. I have heard many different sides of every story. I have recreated hundreds of CoCreate parts in Pro/E to help the Pro/E design teams work with the models that the CoCreate team created originally. Just to point out, I said recreated not translated or imported. The original question points to a lack of experience with Pro/E. Maybe, even an effort to get out of having to use Pro/E. I hear all the time that CoCreate is a different mindset then Pro/E so the engineers cannot switch because they will be unproductive. There are many ways to model the same part, but it comes down to personal preference. All CAD tools have pluses and minuses. Nobody can send out a blanket statement like: CoCreate is better than Pro/E. All modeling mindsets have pluses and minuses and are clouded with personal preference rooting back to the CAD tool that the person has the most experience with. From looking at our models (yours might be different), I would have to conclude that the freedoms CoCreate gives allows for poor modeling practices. Models I have seen in CoCreate are inconsistent from side to side, holes are misaligned, dimensions are carried out to 20 decimal places, geometry can not be manufactured, geometry gets cut away and new stuff added leaving weird geometry that is hard to manage, the list goes on. Many of the projects the CoCreate team works on gets to a certain level of completeness and then gets outsourced when it comes to the details and drawings. The companies that do the outsource work have voiced complaints to me about the quality of the CoCreate parts that they have to recreate in another tool. I have some preference to the history in Pro/E, because I like seeing how the part was designed and like to be able to edit the original sketches to modify the part. But, at the same time I sometimes I get frustrated with old history messing up what I am trying to create. While trying to create features in CC I have continual problems with them failing. So, Direct CAD can also have problems in that regards. In my oppinion Parametrics is something modeling cannot do without. If I specify that I want a hole to be 1 inch from the edge and then change the shape of the part that dimension must hold to my original design. Not stay were it was. If I move a hole, the fasteners in the assembly must move with it. I should not have to go back and move them manually. I know CC has a Parametric module, but the CC guys have told me they do not see the benefit. I could probably keep going but I will leave it there for now. I think that any engineer can learn to use Pro/E, just as you think any engineer can learn CoCreate. It all comes down to person oppinion and experience. If someone cannot put aside a mindset to learn a new one - they are not putting enough effort into it. It all comes down to what is your job, and what does your boss want you to do. I would put more effort in learning CoCreate, but I am supposed to support Pro/E. If that directive changes I will change. I might still hold onto my personal ideas, but I will change. It is all up to the person to try and stay in the box or get out. It is not driven by the CAD tool as your original post suggests. No offense intended. Re: Will a Pro-e user ever expand to 3D Direct CAD, or is he stuck in a parametric mindset? Thanks for your input, and sharing us your broad experience in CAD. But, when keeping the discussion away from personal product knowledge or features and functions, I would like to take it up one level. 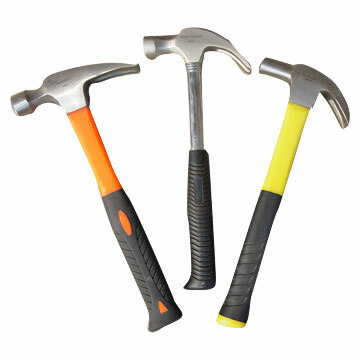 On the question "what would you use to put a nail into the wall", most people will answer 'a hammer'. But wat if it is not that obvious if it's a nail or a screw? Let say that your boss just asked you to hang a picture on the wall. The hammer will do for both a nail or screw, if that's the only tool provided by your boss. Your process can improve if you can see if it's a nail or not, and you can choose the tool that fits the job best. So it all comes to the processes on what tool is best. The technology should support that process. What I wasn't trying to say is that engineers aren’t smart people. But the processes could be more productive if they only knew what was possible. Sorry if I miss understood your question. I guess I read it as a direct slam on people that know and like the mindset of the parametric CAD tools. And, a statement that CoCreate is an inheritently better tool. I forgot about the aurgument to try and compare the CAD tools to completely different hand tools. That is a fun one, but I do not think it apply correctly. I do not think that you can honestly say that one tool is a screw driver and the other is a hammer - or one is a saw and the other is an axe. In my oppinion they would both be hammers, just different styles of hammers. It all comes down to what someone is comfortable with - yep I am going back there. You might like the feel of one in your hand, someone else might like the claw shape of another. Who is wrong? Are you going to tell the other person that your hammer is better because it fits your hand the best? I say we use the tool our employer has purchase for us and not complain about it. If your company is in the market to change tools, then by all means try and get the one that fits your hand the best. It all comes down to mindset and how willing the person is to change and apply something new. nor bother to let me know that PTC is considering it. I find the "tone" of this question to be objectionable. Perhaps the original poster didn't intend for it to be taken that way, but if so, the OP needs to consider his use of language much more carefully before making this sort of commentary. For the record, I am a long-time user of Pro/ENGINEER (with somewhat less experience in several alternative packages - IDEAS, Inventor, etc). Also for the record, I use Lightwave, Maya, ZBrush, Mudbox, and so forth. TOTALLY different types of applications, with totally different sets of capabilities, and used for totally different purposes. The question is... are we creating ENGINEERING work (which must be completely defined, completely inspectable, and completely repeatable)? Or are we creating "artwork" which can be adjusted "by eye" just so it "looks right?" For doing a mechanical design, it's nearly impossible to do this sort of work in non-parametric types of tools. You simply can't do proper engineering work without the explicit, math-driven description of the critical working elements. You choose the right tool for the job. On the other hand, if you're trying to come up with a shape for, say, a modern-art sculpture... Pro/E (or any other parametric math-based modeler) is really not the right tool for the job. The phrasing of the OP's question is perjorative. It infers, not so subtly, that prefering the right tool for the right job is somehow "closed-minded." That the sole reason that some people prefer using parametric design practices is because "that's what they know" and that some other approach may be equivalent, or better, in any given circumstance. His later comment about "hammers and screws" further drives home this perception on his part. But even that argument falls apart, because he then limits himself to "one tool or the other." Here's the answer. If you have a design which you ever expect to need to modify, or to do variations on, or even adjust tolerancing on, and if that design needs to physically interface with any other design element, parametric solid modeling is the preferred approach. If you want to create complex, "organic" shapes, parametric solid modeling is not the perferred approach. The two can be blended. Engineers have been doing this for as long as the tools have been available. There are many ways to blend "organic sculpted shapes" and "mathematically precise designs." In my experience, this is typically best handled by creating the "complex shapes" in a separate tool, and using the output of that tool as a "sculpted template" where the complex elements are copied into the new engineered part. It would be very nice if there were a practical way to implement "Maya/Lightwave" style modeling into "3D parametric CAD" tools directly. However, there's a fundamental issue there, and as far as I'm aware, this has yet to be resolved. See, it's CENTRAL to proper engineering work to have clear, communicable, REPEATABLE mathematical definitions for engineering features. "Free form" modeling does not really have any allowance for this yet. Yes, it's possible to provide the full mathematical definition of every non-uniform rational bezier spline surface, I suppose... but this seems a bit unwieldy, doesn't it? I have no doubt that the two types of modeling will, eventually, "merge." I think this will happen sooner rather than later... perhaps even starting to see mainstream use within the next five years or so. But as of today, the problem isn't that "parametric CAD users are closed-minded," it's that the two tools simply serve totally different, and in many ways contradictory, functions. I have to agree with most of what you said in your post, up till the end. The OP was comparing Pro/E specifically to CoCreate. I agree that other tools like Maya are absolutely different from Pro/E and in fact they are different from CoCreate as well. CoCreate was created to be a tool to create ENGINEERING work. It just does not hold to parametrics or history. The CoCreate catch phrase is "It is like a block of clay. Just start molding it" or something like that. What the idea is, is that someone can pick up a model that someone else was working on and immediately start changing it. I Pro/E you have to look back at how they created the geometry then figure out how to changing it within the intent it was originally created. Both approaches are valid, but CoCreate allows mistakes that Pro/E does not. One thing that is cool about CoCreate is that you can take an IGES or STEP file that was created in some other CAD tool and start modifiying it as if it were a native CoCreate part. No history, so no need to worry about it being imported geometry. If there are not geometry errors it will be good to go. One of the problems is that as you are creating the initial ideas you can be hacking stuff off and putting new stuff on. Then when it comes time to create the engineering detail you have weird geometry that is legacy to one of the original hacks. Or my biggest complaint is that the aligned hole from side to side are no longer aligned. For me I think there are many benefits to CoCreate, but the lack of Parametrics and intent manager are two things that make it not the tool for me. I think that engineering needs to be more constrained and precise than CoCreate allows.